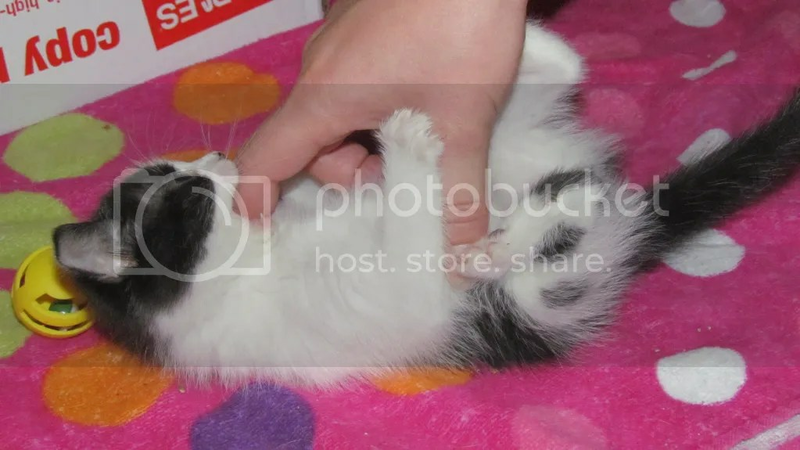 Moo started out as a foster kitten. She wasn’t going to live here with us forever. 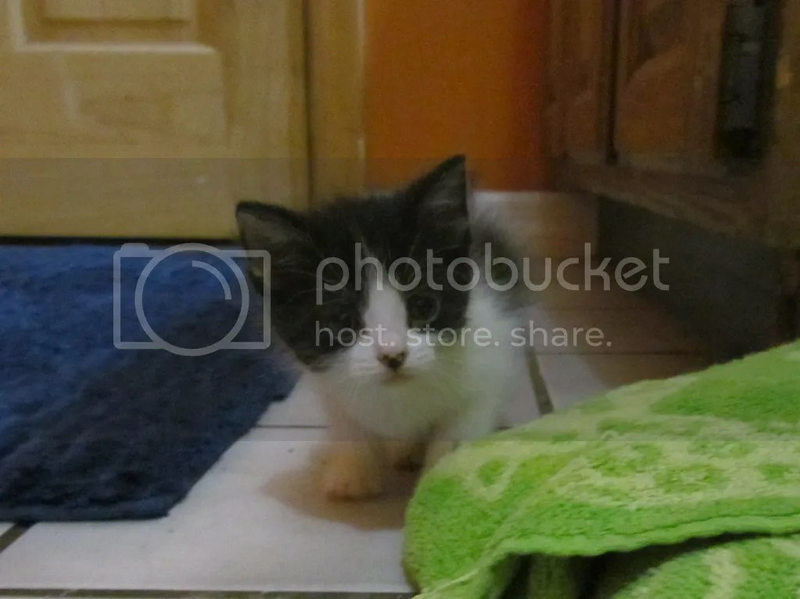 She moved into the bathroom as a mommy-less 5 week old kitten. Within a week she had found her permanent home here with us. Fostering can be an evil job. Kittens can be evil little animals. They act so cute and give you the cute “kitten” look. And BOOM! They become yours! It’s evil I tell you….Evil!! Share this post and Stick around and Follow us! She is a cute little kitty! Now… how cute is that! I’m envious. I like cats, but can’t keep one. Not until I get my own place, I guess.